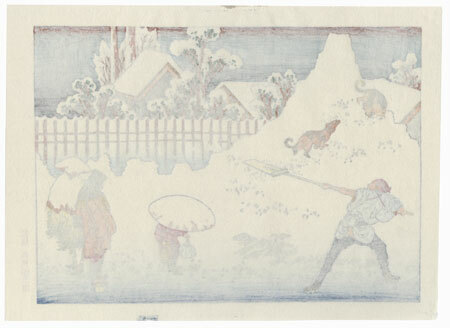 Comments - Terrific scene of a man shoveling snow after a heavy snowfall. 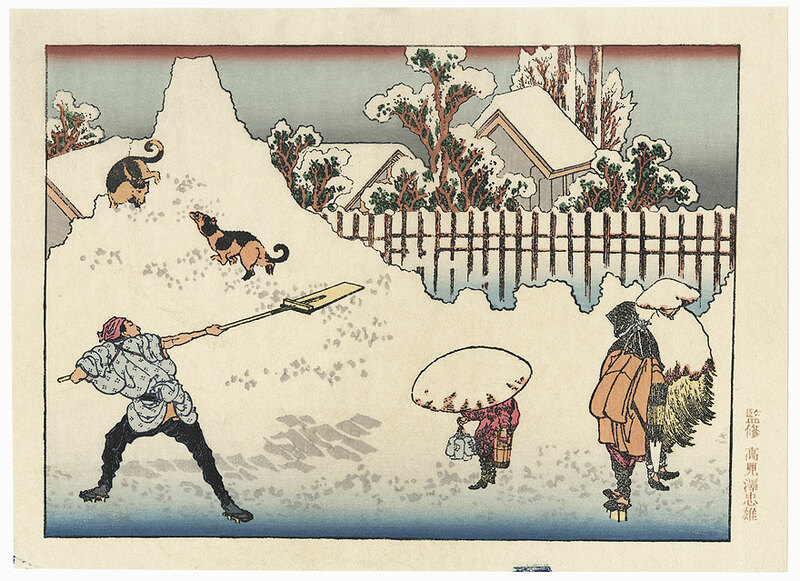 Two dogs play on a great mound of snow at left while pedestrians at right pause to watch. 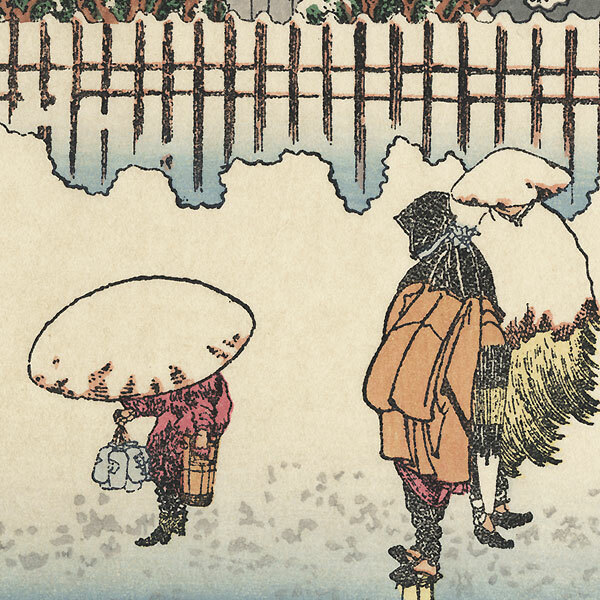 A great Hokusai winter scene. Condition - This print with excellent color and detail as shown. Slight paper remnant on reverse at top center from original publisher mounting. Please see photos for details. Nice overall.